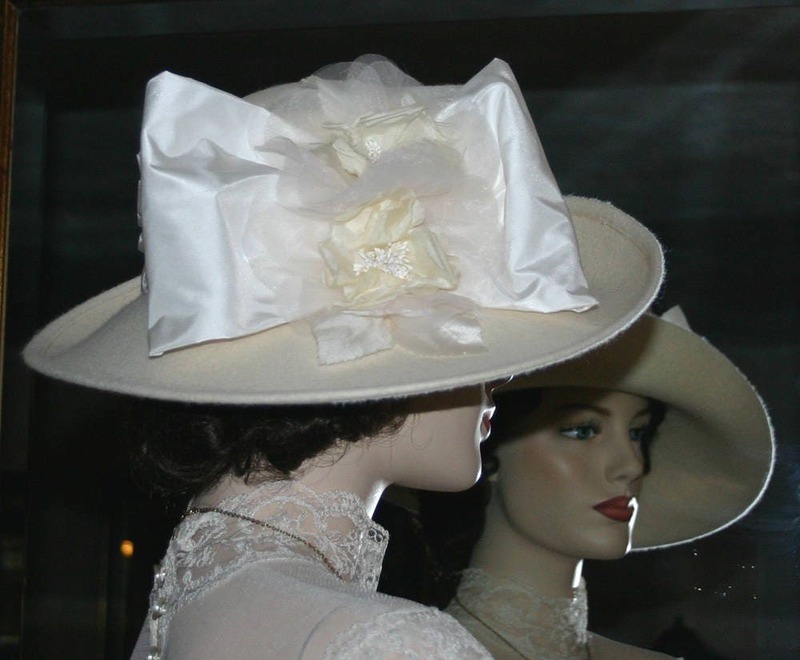 Titanic Hat "Lady Olivia" is a perfect hat for your Downton Abbey tea or Kentucky Derby! It's designed over a gorgeous ivory wool hat. 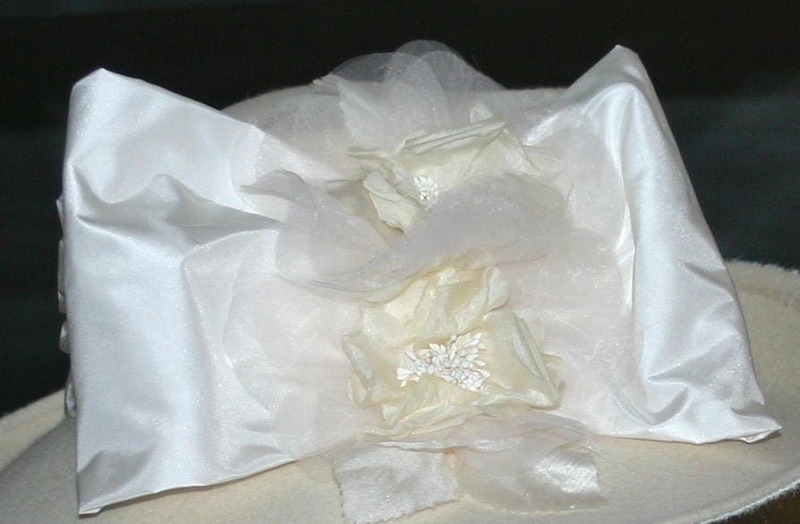 The hat band and the bow are ivory silk taffeta and there's two ivory organza roses accented with ivory satin leaves adorning the side of the crown. 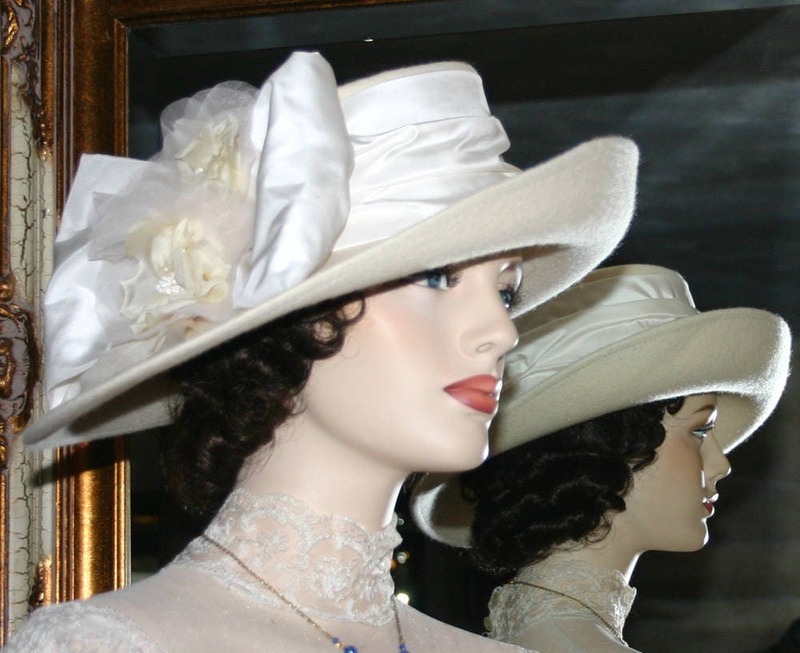 The shape of the hat is unusual, and very interesting. 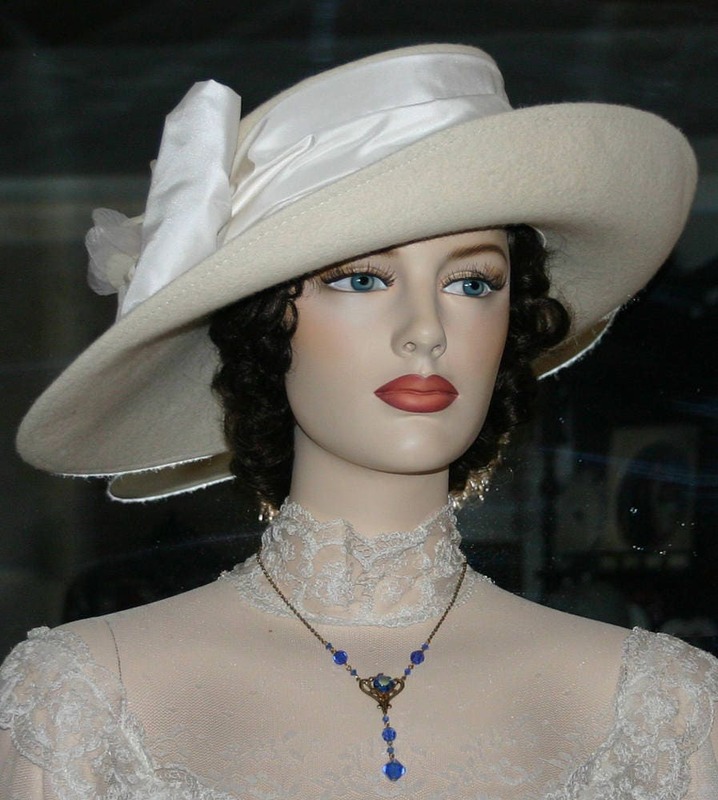 This is an absolutely stunning hat and will turn heads anyplace you decide to wear it! 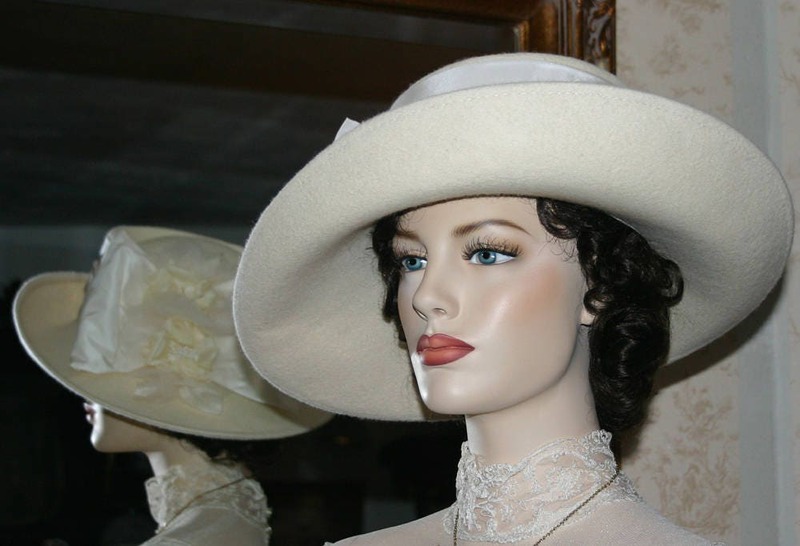 Perfect for and Edwardian tea party, Downton Abbey Tea Party, Titanic event or a Somewhere in Time Weekend!